Researchers believe they may be able to treat epilepsy with the dietary supplement glucosamine. The finding comes from scientists at the University of Alabama at Birmingham (UAB). They discovered that glucosamine dampens the hyperexcitability in neurons that is linked to epileptic seizures. Epilepsy is a common comorbidity in people with autism. Reports suggest anywhere between 16 per cent and 44 per cent of children with autism also have epilepsy. Glucosamine consists of chains of sugars and proteins. It occurs naturally in the fluid around the joints, as well as in animal bones, bone marrow and shellfish. High street nutrition stores sell variants of glucosamine, combined with other ingredients such as sulfate and hydrochloride. A 2012 survey found glucosamine was the second most popular dietary supplement in the US after fish oil. The scientists discovered using glucosamine dampened hyperexcitability in the brains of rats and mice. 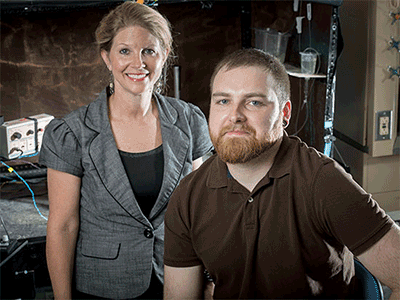 UAB neuroscientist Dr Lori McMahon led the study with PhD student Luke Stewart. An earlier UAB study found large increases in the protein N-acetylglucosamine, which is a form of glucosamine, led to a reduction in the strength of neurons. Neural excitability is a key feature of seizures. The scientists therefore thought that large increases in N-acetylglucosamine might dampen the hyperexcitability seen in brain disorders. In their paper, McMahon and Stewart wrote that N-acetylglucosamine is a promising target for “seizure disorder therapeutics”. In an email, McMahon said scientists would need to undertake “significant investigation” into any link between neuronal hyperexcitability and other difficulties in autism, such as challenging behaviours and impulsivity. She stressed that they limited their study to rodents. She said scientists would need to carry out much more research to determine how N-acetylglucosamine may “benefit children with epilepsy and whether these alterations will also have therapeutic effects on behaviours related to autism”.